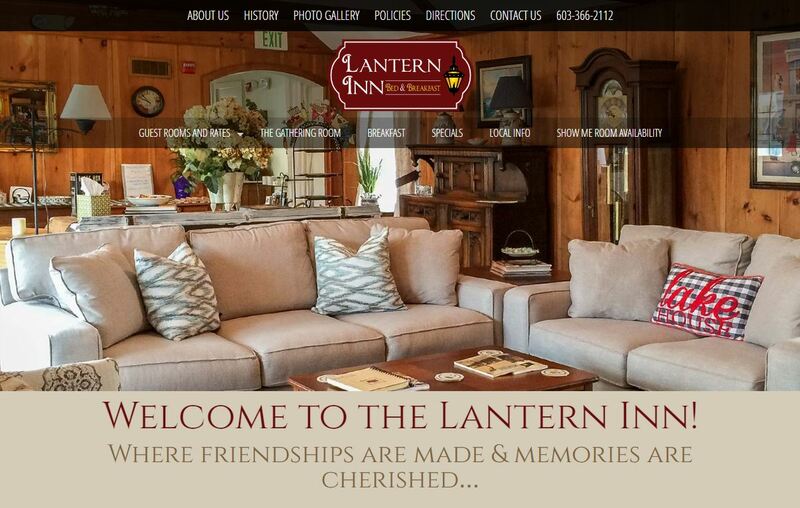 The folks at Lantern Inn B&B are passionate about taking care of their guests, and the quality of their website. The site features and admin system to manage photos and amenities for each room. Also included is a management system to upload photos of guest, events and happenings at the Inn, as well as a system to add, edit and delete their specials. This site therefore is somewhat maintained by them. We did not take any of the photos, but, provide expert photo correction services for their room photos.